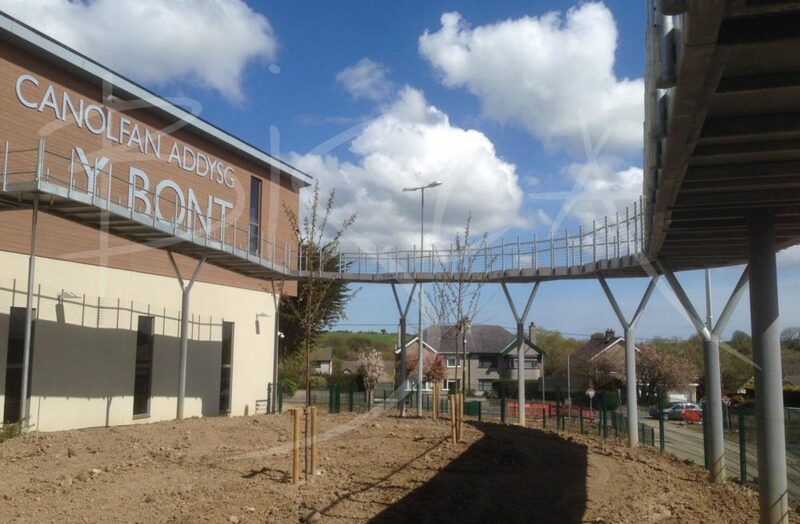 A wheelchair escape ramp for a ground breaking new school for young people with special needs on Anglesey. 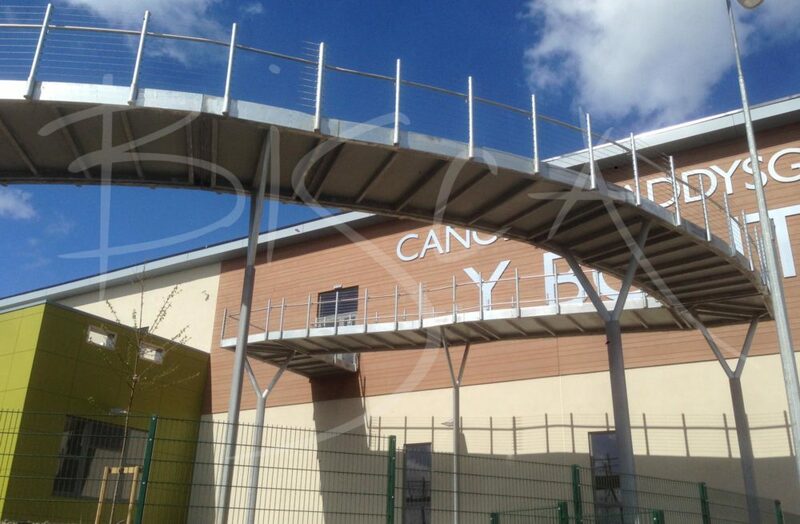 Canolfan Addysg y Bont in Llangefni does not have stairs or lifts. Instead, the natural gradient of the site has been harnessed to build 141 metres of gently sloping corridors. The gentle slope guides people from the ground floor to the first floor almost without realising. The wheelchair escape ramp is part of the design, manufactured and installed by Bisca. 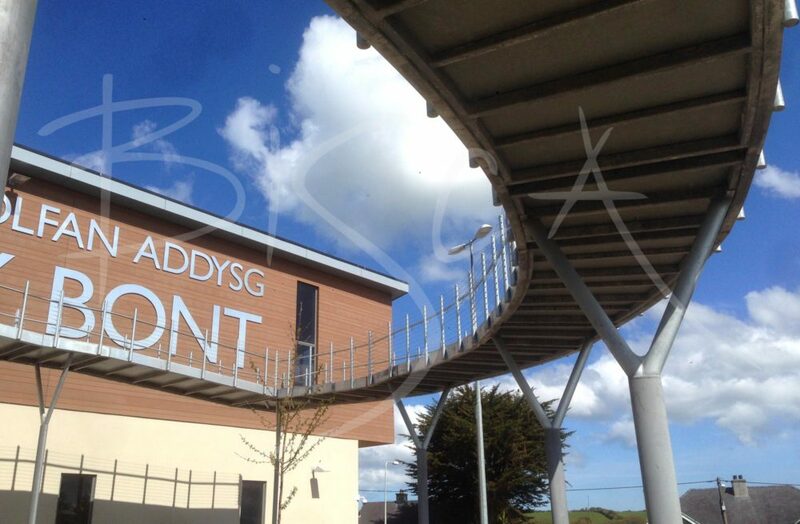 Anglesey Country Council admitted that they had approached other staircase manufacturers and specialist contractors, yet they had not found anyone who would even look at the project. Eventually they found Bisca. Bisca were the only company to accept, and ultimately pull off, the challenge. This project was a favourite with the team because it was new and different. If its never been done before, all the better. 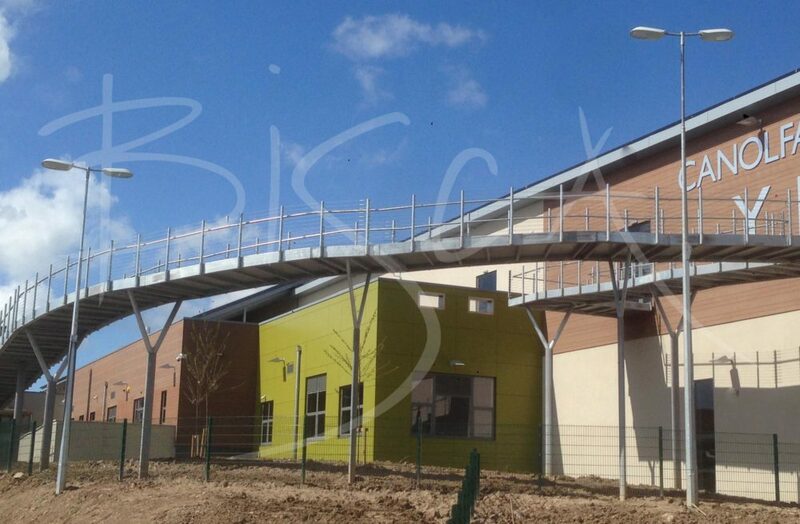 Working as a main contractor, or as a sub-contractor, the Bisca team become part of any project team.